Nassau County Executive Edward Mangano, District Attorney Kathleen Rice and Police Commissioner Lawrence Mulvey unveiled the county's latest weapon to combat drunken driving. 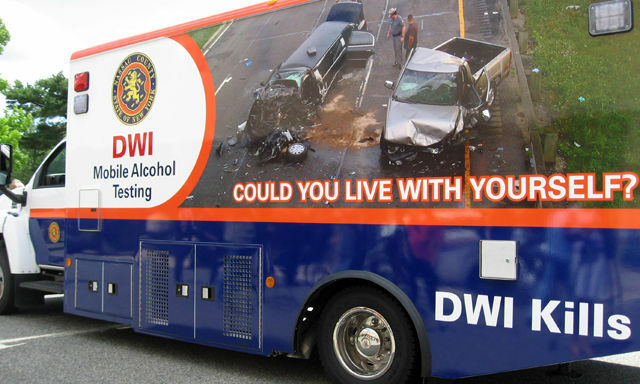 The Breath Alcohol Testing vehicle, or BAT mobile, will provide police with a mobile team of certified breath technicians to process drunken drivers, from their initial arrests through testing. State Sen. Charles Fuschillo Jr., a Republican from Merrick, acquired the state funding for the District Attorney’s Office to purchase the $249,918 vehicle using New York State Division of Criminal Justice Services grant funds. The 29-foot vehicle will be used by Nassau County police officers. The unit will function as a “sobriety testing center” and be equipped with breath alcohol testing equipment and four video cameras to monitor the exterior of the vehicle and the testing area. Arrestees can be brought into the vehicle where breath alcohol testing or drug recognition exams can be conducted. If they are found to be intoxicated, they will be arrested. 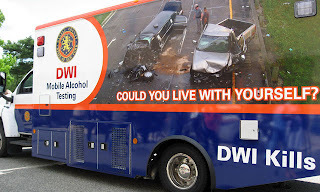 “Let it be known that if you drive under the influence in Nassau County, you will be arrested and prosecuted. We will do whatever we can to make our streets safe,” Nassau County Executive Ed Mangano said. "During my administration, apprehending DWI offenders has been one of my top priorities. The Nassau County Police Department has been very successful in doing so, but there is still work to be done. The "Bat Mobile" is another resource available to the law enforcement community for us to utilize in not only arresting DWI offenders, but an opportunity to educate motorists of the dangers associated with drinking and driving." Police Commissioner Lawrence W. Mulvey. I would like to know if you can recommend some sites that offer free parental control software. I've tried to block content through my control panel but it is difficult to decide what programs to block, is there a easier way like the v-chip for TVs that block sites by rating? With the kids home for the summer and friends and older relatives in and out of the house I want to feel more confident allowing unsupervised use of the computer. Officer Miller and I were just talking about this topic. We've come across these very informative references. to help parents understand some of the programs out there. We know how important it is for parents to be involved in what information kids are posting online as well as just who kids are speaking to. We hope this helps give you some helpful tips and we will continue to send you informational resources as we come across them. The Fifth Squad reports the details of multiple incidents of Criminal Mischief on July 20, 2010. A 2010 white Mercedes Benz was parked on Wildwood Road in West Hempstead. Detectives request anyone with information regarding this incident to contact Nassau County Crime Stoppers at 1-800-244-TIPS. All callers will remain anonymous. Hempstead Town Supervisor Kate Murray in deference to a serious summer heat wave announced today that Hempstead will open cooling centers at thirteen (13) locations and extend hours of operation at thirteen (13) pools. "Summer certainly has come roaring in," said Murray. "The type of heat we are now experiencing can pose serious health risks especially for seniors and very young children. By offering cooling centers we are protecting the health and the comfort of local residents who may be without air conditioning. By extending our pool hours, we are also making it convenient for our residents to cool off after a long, hot summer day." The cooling centers will be open between the hours of 9:00 a.m. and 8:00 p.m., with the exception of Merrick Senior Center, which will remain open until 6 p.m. The facilities are air-conditioned and there are even activities that will provide an opportunity for residents to interact and enjoy each other's company, all while avoiding the scorching temperatures, "very high" UV indexes, and the health risks that accompany them. Roosevelt Pool - Closing at 7 p.m.
Town Park at Sands Pool - Closing at 7 p.m.
Forest City Park Pool - Closing at 8 p.m.
Rath Pool (Franklin Sq. Park District) - Closing at 8 p.m.
Walker Memorial Pool - Closing at 8 p.m.
Acorn Lane Pool - Closing at 8 p.m.
Azaela Road Pool- Closing at 8 p.m.
Blue Grass Lane Pool- Closing at 8 p.m.
Carman Avenue Pool- Closing at 8 p.m.
Levittown Parkway Pool - Closing at 8 p.m. Slate Lane Pool- Closing at 8 p.m.
West Village Green Pool- Closing at 8 p.m.
Wolcott Road Pool- Closing at 8 p.m.
"The dangers associated with this heat wave can hit our seniors and young residents especially hard," concluded Murray. "And, while we in Town government are doing all that we can to keep our residents safe and healthy, I encourage everyone to do their part and check in on elderly neighbors or family members who are at high risk for dehydration, heat exhaustion, or even heat stroke, all of which can accompany hot weather. By offering cooling centers for those without air-conditioned homes and extending pool hours, we can beat the heat and enjoy the summer." I have received a phone call on my answering machine on Sunday, July 4th from someone claiming to be from the U.S. Census Bureau. (On a nat'l holiday?) I googled it and it seems to be a fraud. I had completed and returned my forms months ago. I will not return their calls, but am worried about others. See something, say something...right? The number they gave me is 866-851-2050. Thanks for your help. I love the blog! We had called the Census Bureau Garden City Office (559-7520) to ask if they are still collecting information. They are still calling and visiting homes to collect information and do quality checks. The phone number they have is 866 861 2010. If anyone else receives calls with the other number for a return call, please call the Garden City Census office and they will report it to the authorities. A census taker is a person from your community who is hired by the Census Bureau to make sure that your neighborhood gets represented as accurately as possible. The census taker's primary responsibility is to collect census information from residences. Most of these residences have not sent back their 2010 Census form. The Census Bureau provides the census taker with a binder containing all of the addresses that didn't send back a filled out census form. The census taker then visits all of those addresses and records the answers to the questions on the form. If no one answers at a particular residence, a census taker will visit a home up to three times and attempt to reach the household by phone three times. The census worker will leave a double-sided (English and Spanish) NOTICE of VISIT in the doorway that includes a phone number for the resident to schedule an appointment. The census taker will ONLY ask the questions that appear on the census form. The census taker who collects your information is sworn for life to protect your data under Federal Law Title 13. Those who violate the oath face criminal penalties: Under federal law, the penalty for unlawful disclosure is a fine of up to $250,000 or imprisonment for up to 5 years, or both. The Census Bureau will never ask you your social security number. The Census Bureau uses a workforce of trained federal employees to conduct a variety of household and business surveys by telephone, in-person interviews, through the mail. They understand your personal information is sensitive, and go to great lengths to protect the data they collect. Although they cannot stop or warn against all bogus or false collections of data -- here are some tips to help you recognize fraudulent activity or unofficial data collections. If you are contacted for any of the following reasons -- Do Not Participate. It is NOT the U.S. Census Bureau. 'Phishing' is the criminally fraudulent process of attempting to acquire sensitive information such as usernames, passwords, social security numbers, bank account or credit card details by masquerading as a trustworthy entity in an electronic communication. Phishing is typically carried out by email and it often directs users to enter sensitive information at a fake web site whose look and feel are almost identical to the legitimate one. You may further verify if a collection activity is legitimate by calling your regional census office regarding mail surveys, and the National Processing Center for phone surveys. If you have not been contacted about a survey and are looking for general Census Bureau information, please call 301-763-INFO (4636) and they can better answer your questions. Additional language specialties may be available. If you have questions about any of their telephone center operations, you can contact them via NPC.Call.Center.Info@census.gov.